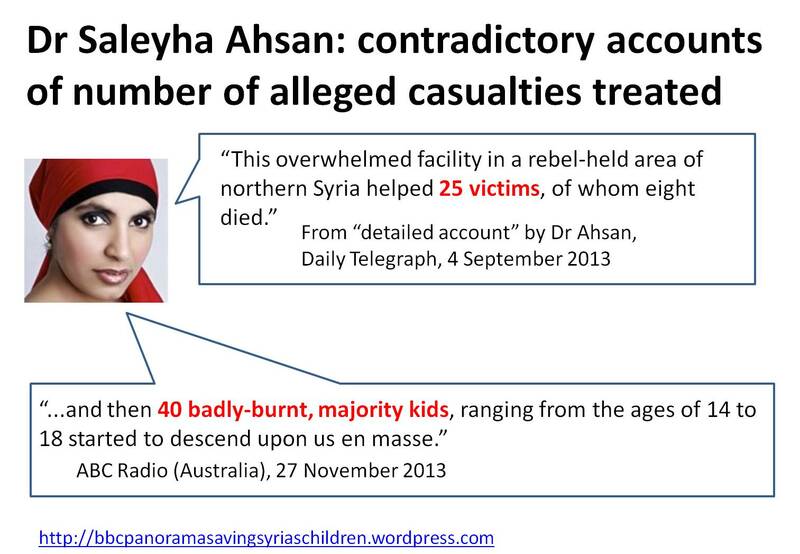 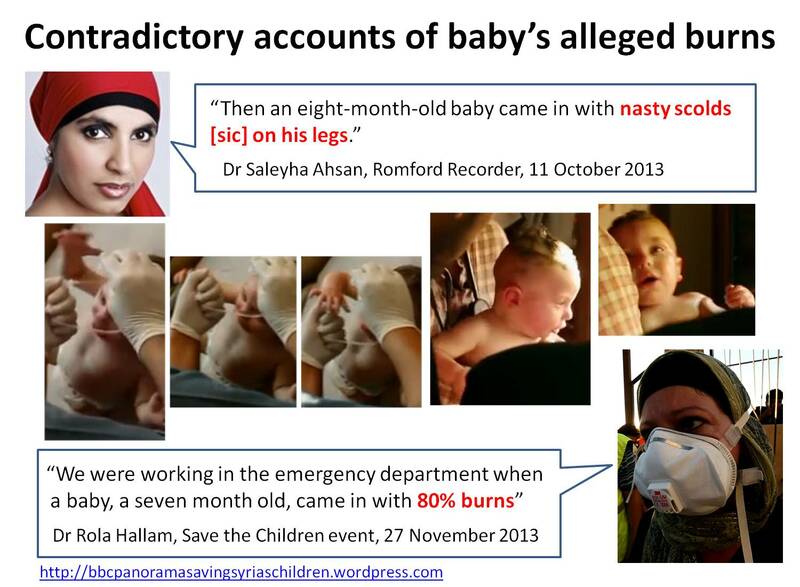 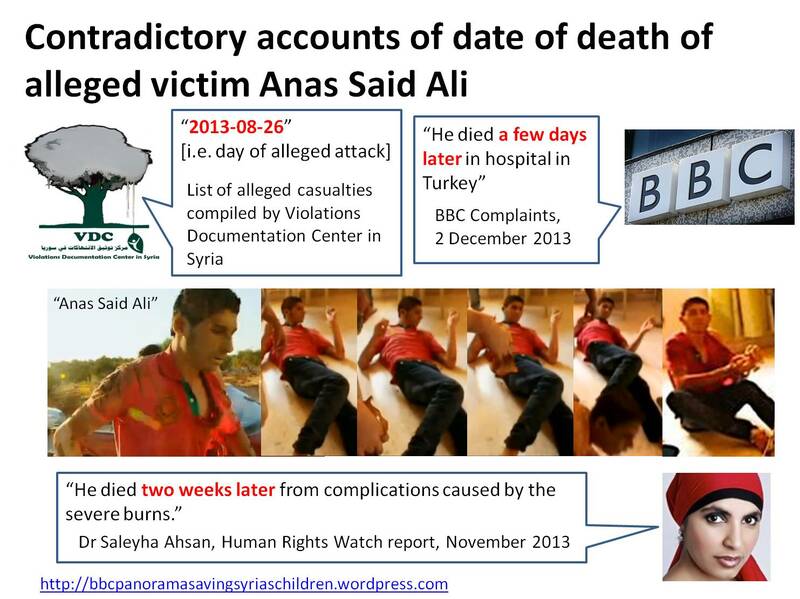 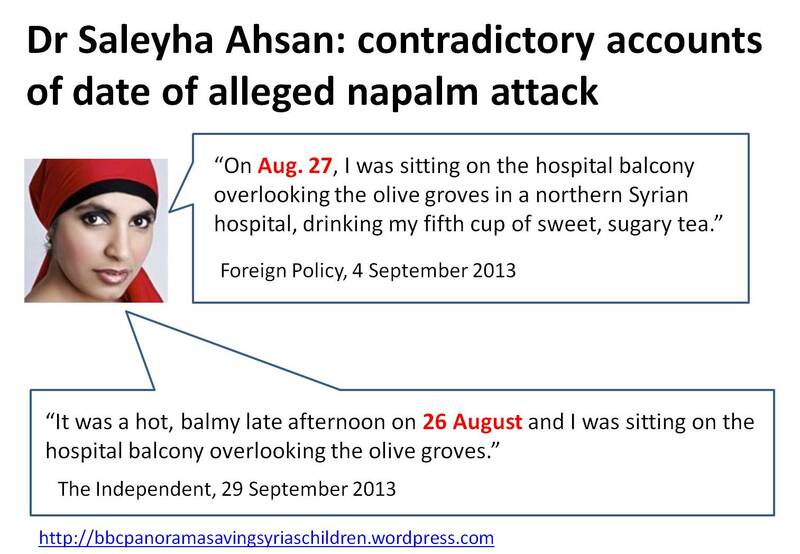 Contradictions in accounts of the alleged Urm Al-Kubra incendiary bomb attack notably occur between various testimonies provided by Dr Saleyha Ahsan and between Dr Ahsan’s testimonies and those of others present at Atareb Hospital, Aleppo on 26 August 2013. 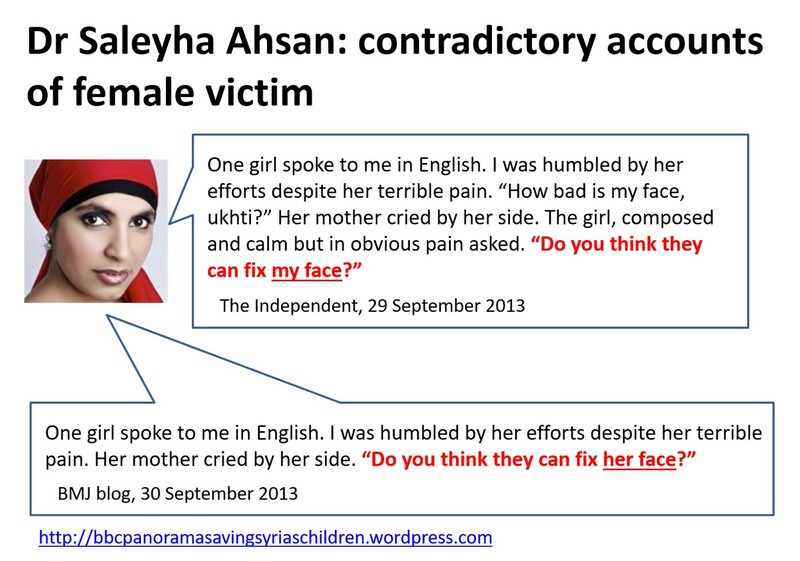 Some of the most striking and perplexing instances are presented below. 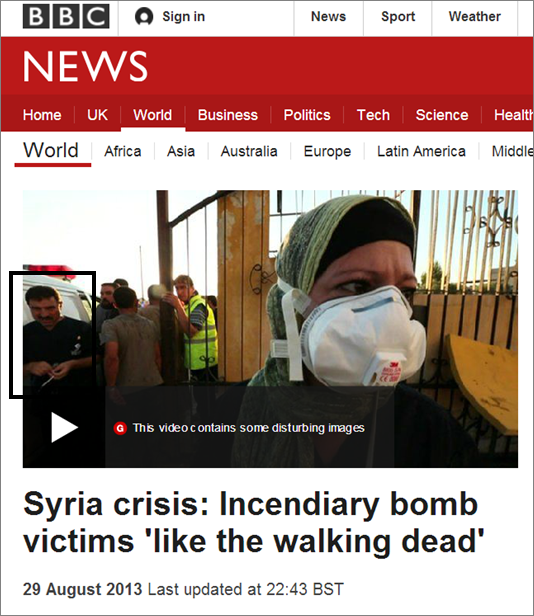 See links in the captions for full references. 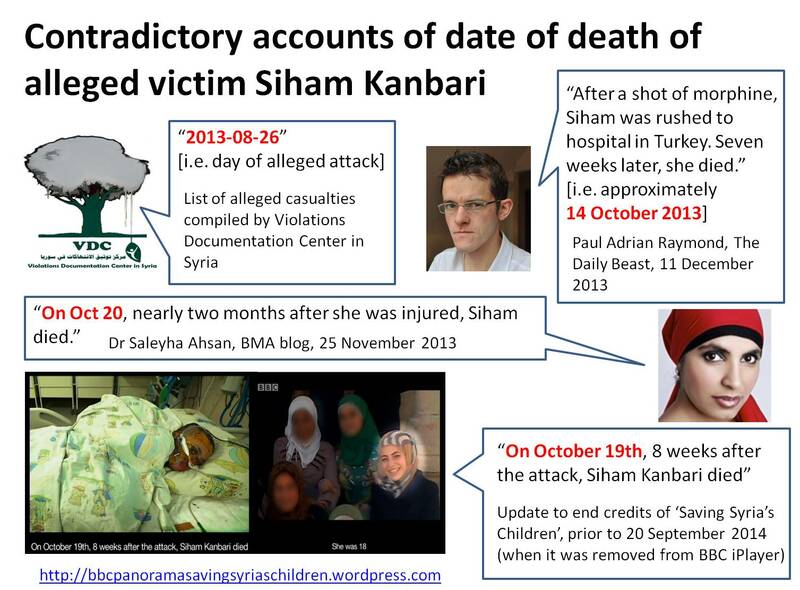 For a related presentation of inconsistencies in accounts of the alleged Aleppo school bombing by BBC International Correspondent Ian Pannell see here. 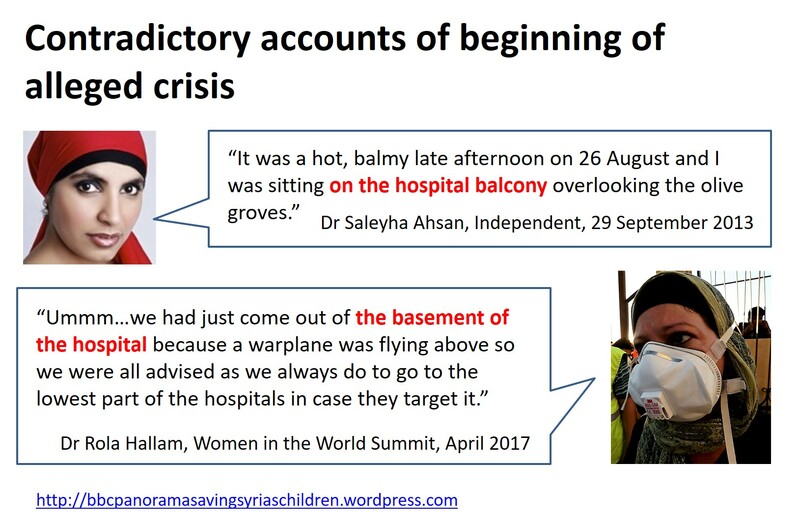 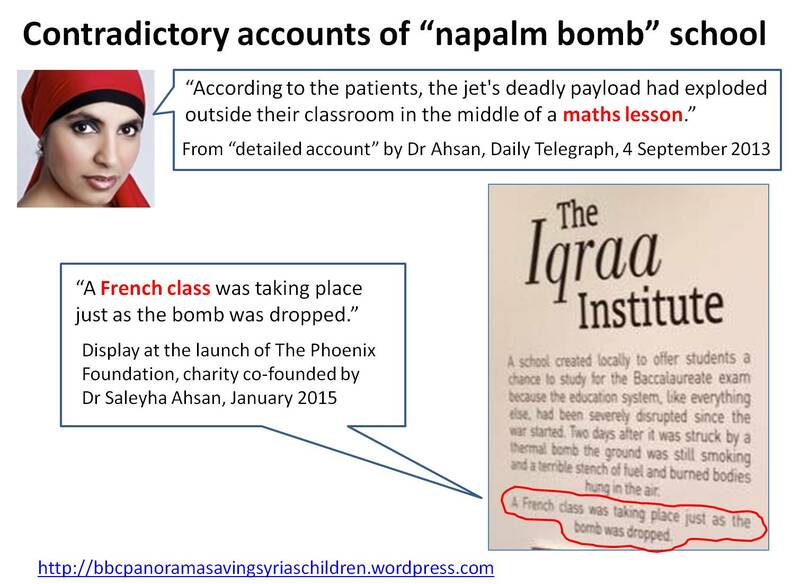 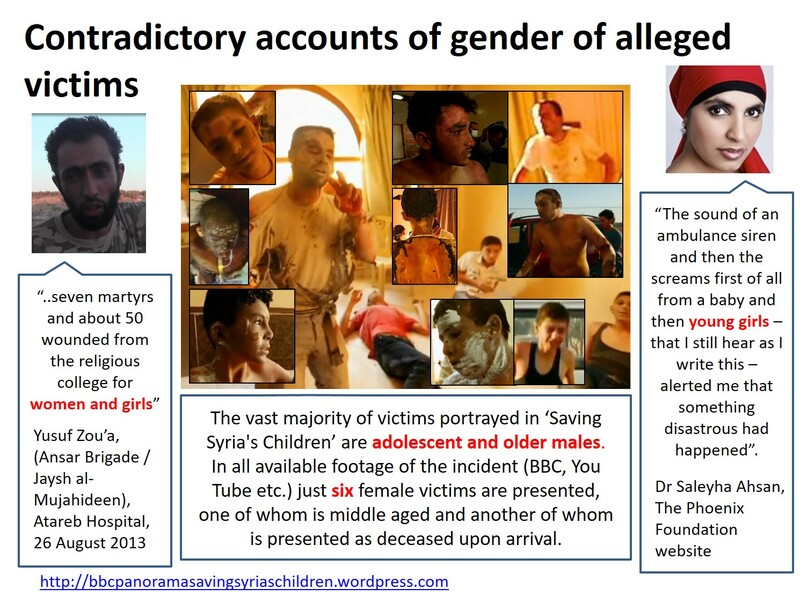 For more on Dr Ahsan’s involvement in the 2013 BBC Panorama special ‘Saving Syria’s Children’ and her personal relationship with an army officer who runs large-scale, highly sophisticated injury simulation training exercises, see this recent presentation for Frome Stop War.